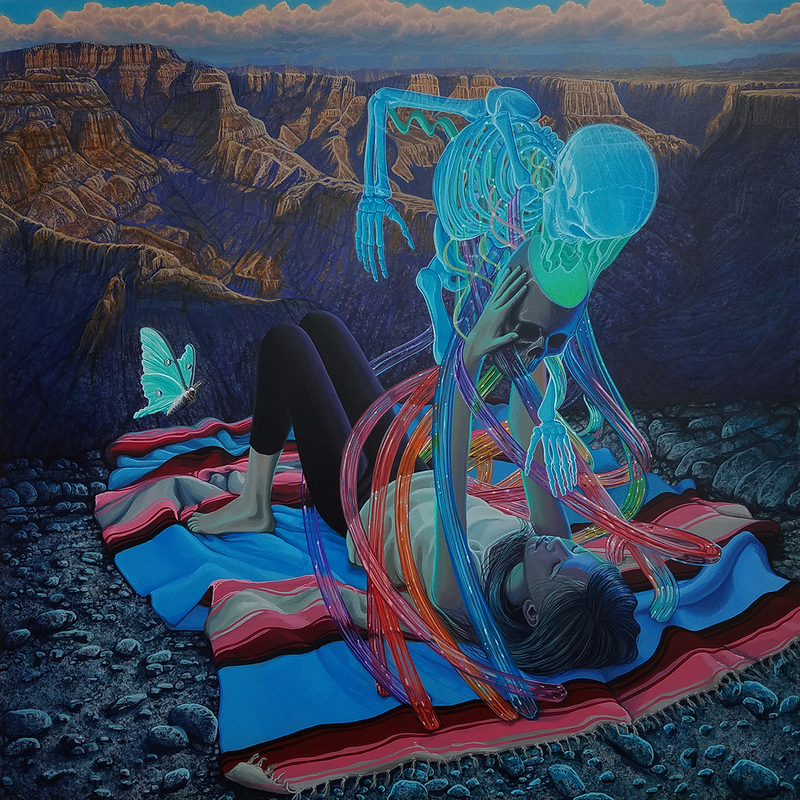 Thinkspace is proud to present Phoenix-born painter Wiley Wallace’s upcoming body of work Stay Connected, alongside Juan Travieso in the gallery’s main room. 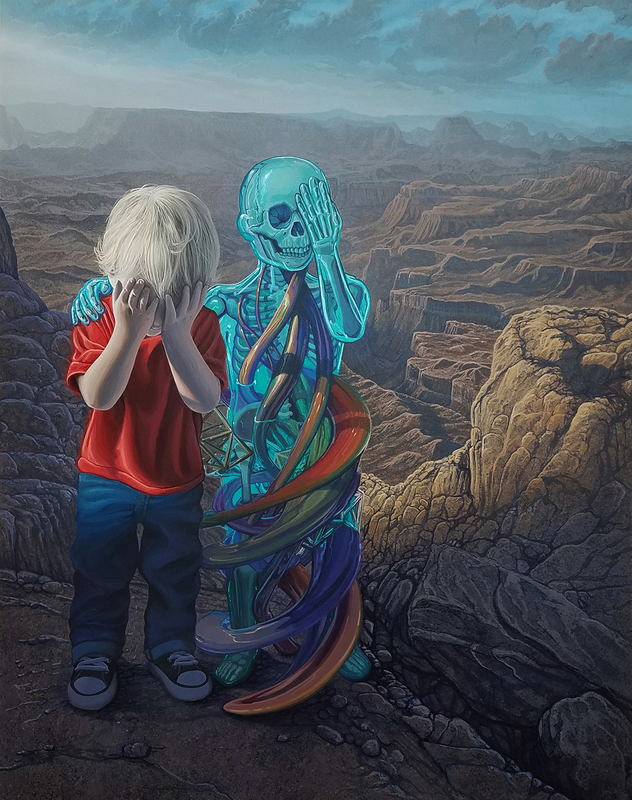 Wallace combines realistic renderings with elements of the surreal, and near-magical references that include eerily cast light sources bordering on the supernatural. 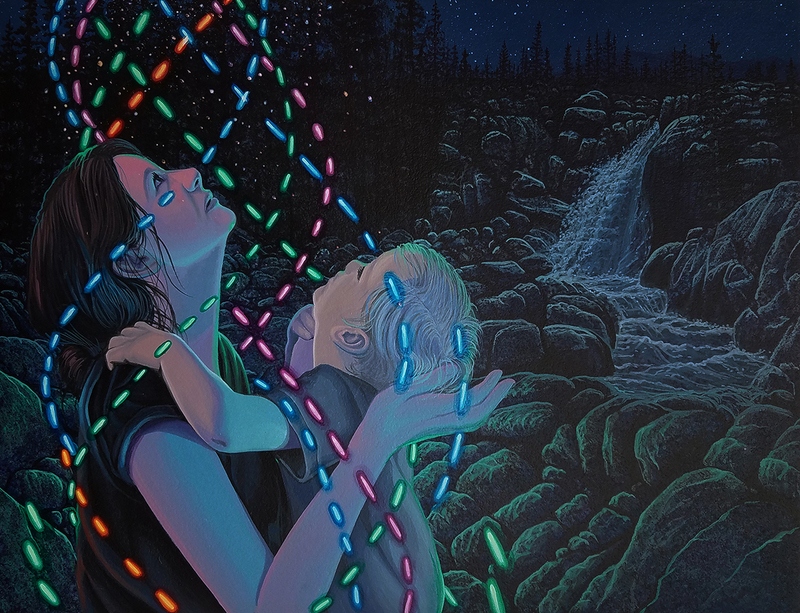 In anticipation of Stay Connected, our interview with Wiley Wallace discusses the shows inspiration, his creative process, and the childhood catalyst that lead to the adult artists. Join us for the opening of “Stay Connected”, Saturday, June 30th from 6 to 9 pm. WW: The show is called ‘Stay Connected’. There were a lot of sources of inspiration for this new series of paintings. Some of those sources are really hard to put into words, but a clear source is my kids; how they experience technology, movies, books, holidays. Trying to see the way things are today through my children’s eyes. The world today seems equal parts fascinating and frightening. It’s also exploring how to tell a story, but keeping that story open-ended, using symbols that are loaded, but ambiguous enough that there can be several interpretations. SH: Where do you source inspiration? How do you capture those ideas for pieces; do you have a sketchbook on hand or is it just a note to yourself in your phone? WW: I draw in a sketchbook a good amount. I take a lot of photos of my kids on our family adventures. WW: After creating source material, I then piece everything together and layout the composition in Photoshop and Cinema 4D. Once I feel like the composition is telling a story, then I’ll try to paint it. WW: I really like painting. I like the process of painting. I enjoy sitting and listening to music, or an audiobook or podcast and the feeling of making something simultaneously. Being able to zone out and create something feels amazing. WW: Nothing really. It’s fun. SH: If you could be a character in any movie for a day; who would you be in what film and why? WW: Not a parent from a Disney movie. SH: How do you approach developing work for an exhibition? Do you immediately jump into work on it, or are you more of a procrastinator? WW: We have 3 kids, so I schedule the time months in advance. There has to be a very specific calendar with mini-deadlines that help get to the next point. SH: What is your Meyers-Briggs or Zodiac Sign? Does it influence your work / artistic process? WW: I’m a Cancer sign. I guess I like being quiet and at home, creating when I can. I’ve never done a Meyers-Briggs test. WW: I grew up in a mom & pop sign shop. My parents spent all day making, painting, and installing signs. Me and my brother were always down there, making and painting stuff in a big industrial work space. We would build things, play with paint, make messes. Sometimes we got to pitch in and help my parents on jobs. Growing up in that environment had a significant impact on me.